Many cancer survivors and astronauts have something in common: their bodies can experience years of aging after only a few month of treatment – or space flight. Exercise can help, says Jessica Scott, PhD, a Principal Investigator at Memorial Sloan Kettering Cancer Center. Before focusing on cancer patients, Scott worked at the Johnson Space Center, helping astronauts keep their heart and muscles healthy. Here, she talks about the emerging field of exercise-oncology and how applying the research related to astronauts can help survivors prevent or slow accelerated aging. Q: There’s research showing that cancer therapies put many survivors at increased risk of cardiovascular diseases. You write that treatment consequences extend beyond the heart. Can you explain this? JS: Advances in detection and supportive care strategies have led to improvements in cancer-specific and overall survival after a cancer diagnosis. These improvements, however, are associated with an increased risk cardiovascular disease (CVD) years after therapy has been completed. The excess CVD risk is likely a consequence of acute direct as well as indirect effects of cancer therapy. Direct can be from cytotoxic/radiation-induced injury, for example, and indirect can come from impacts secondary to therapy, such as unfavorable changes in body composition. Astronaut Mike Fossum performing aerobic exercise during a six month mission on the International Space Station (NASA ID: iss028e007723). Collectively, these ‘multiple hits’ impact not just the heart, but can have deleterious effects across the entire cardiac/pulmonary/vascular/muscular axis. Essentially, during certain therapies there is not just a risk of damage to the heart, know as cardiotoxicity, but there is also a risk of damage to other areas of the body such as blood vessels and muscles. In breast and adult childhood cancer survivors, self-reported exercise was associated with a 15% to 50% reduction in CVD events independent of CVD risk profile and treatment. Q: How do cancer therapies affect the muscles of patients undergoing treatment, such as muscle loss and accelerated aging. And is this just during treatment? JS: It is common for patients completing a selected course of their anticancer regimen to comment they feel as “if they have aged ten years”. Research shows that patients, not for the first time, were right on the mark! Patients undergoing treatment can have changes in muscle, heart, and blood vessel function. Collectively, these systems can be evaluated using a single test – a cardiopulmonary exercise test to assess cardiorespiratory fitness. This is a test where patients are placed on a bike or a treadmill and the load or grade is progressively increased until the patient reaches maximal effort. With healthy aging, cardiorespiratory fitness typically declines about 10% per decade. However, cardiorespiratory fitness can decline between 5% to 26% during exposure to various treatments such as chemotherapy across numerous cancer populations – the equivalent to 10 to 20 years of aging in just 3 to 6 months! In addition, cardiorespiratory fitness may not recover years following treatment cessation. This accelerated aging in cardiorespiratory fitness is important given that poor fitness is associated with higher symptom burden (e.g., poor health-related quality of life, fatigue), and increased risk of death following a cancer diagnosis. Q: At NASA, you worked on helping astronauts keep their heart, muscles healthy in space via exercise. How are you translating this research to cancer survivors? JS: It may be surprising, but just like cancer patients during treatment, astronauts in space experience multi-system toxicity and accelerated aging. On Earth gravity pulls blood down to the lower part of the body, but in space, blood is shifted to the chest and the head. As a result of these fluid shifts, astronauts experience symptoms similar to patients, such as fatigue, changes in taste, substantial decreases in cardiorespiratory fitness, and even something called ‘space fog’, which is analogous to ‘chemo brain’ cancer patients often describe. Very early on in the Space Program researchers noted these multi-system changes. Consequently, in the mid 1960s the first exercise device was used in space to test whether exercise could prevent microgravity-induced multi-system toxicity. 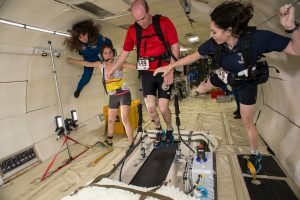 Exercise indeed prevented a lot of the declines, and as a result, over the past 50 years a lot of research and resources have gone into optimizing exercise countermeasures to protect the health of astronauts. In contrast, the field of exercise-oncology is really an emerging discipline and evidence regarding the efficacy and mechanisms of exercise to prevent and/or mitigate cardiovascular toxicity following a cancer diagnosis is fairly limited. We are interested in drawing from the extensive work that has been put into optimizing exercise to protect the health of astronauts to test whether exercise can also be used to protect against and / or treat multi-system toxicity in cancer patients. Q: Given that all cancer patients are different, can you sum up the research on how exercise affects cardiovascular toxicity in adult patients for both prevention and management? JS: Each patient unequivocally has a unique trajectory for cardiovascular toxicity depending on the interaction between non-modifiable (e.g., age, genetic predisposition) and modifiable (e.g., blood pressure, lipid status) CVD risk factors at diagnosis, as well as the direct and indirect effects of the cancer treatment plan. Importantly, exercise, unlike many pharmacological approaches, can improve function across the body from muscles to the heart and blood vessels. For example, in breast and adult childhood cancer survivors, self-reported exercise was associated with a 15% to 50% reduction in CVD events independent of CVD risk profile and treatment. In addition, findings from clinical exercise therapy trials indicate that short-term exercise therapy (~16 weeks) is a safe and tolerable strategy associated with clinically meaningful improvements in CVD risk profile (e.g., cardiorespiratory fitness, resting heart rate and blood pressure, biochemical CVD risk factors) among post-treatment adult survivors of cancer. Although neither cancer nor treatment with known cardiotoxic regimens are qualifying conditions for exercise rehabilitation in North America, preliminary evidence from oncology settings, together with the demonstrated benefit of exercise in cardiac and pulmonary patients, suggest that exercise therapy may also become a key feature of future cardiovascular toxicity prevention and treatment programs for cancer patients. Being active or exercising before surgery, during therapy, and after therapy has many health benefits, and based on current guidelines there is no reason a person going through treatment should shy away from exercise. Q: Is the goal you – your colleagues – are working on to have an adult diagnosed with cancer be able to fill out a questionnaire and then be given an exercise prescription? JS: The goal is to test and implement a targeted / precision medicine approach to optimize the efficacy, safety, and tolerability of exercise for patients with a history of cancer. There is a growing body of evidence indicating there is considerable variability in response to a standardized dose of exercise therapy with some patients demonstrating substantial improvements, and others even declining following exercise therapy. The reason for this variability in response to exercise is likely not because some patients do not respond / benefit from exercise, but rather that these patients were provided with a non-targeted exercise prescription. For instance, in clinical practice, breast cancer is classified into three different major subgroups on the basis of estrogen receptor, progesterone receptor, and human epidermal growth factor receptor 2 (HER2) status, with each subgroup receiving different treatment regimens. The standard approach in exercise-oncology is to prescribe the same exercise for all patients, which is analogous to telling all patients they will receive the same type, dose, and schedule of chemotherapy. Questionnaires will likely be an important component of precision exercise therapy; however, multiple other sources will be required to accurately prescribe exercise. For example, we are exploring whether information derived from several sources (e.g., physiological testing, medical history, questionnaires) and advanced statistical techniques (e.g., machine learning) could enable subgrouping of patients to facilitate the design of more targeted exercise prescriptions. Q: For astronauts, you can prescribe higher intensity and more exercise but as you know, exercise is often challenging for patients. From the research, what is one or two exercise-related action(s) you would suggest someone diagnosed with cancer do? JS: One of the most common questions I’ve been asked by patients is ‘what is the best exercise program for me?’ This is one of the most important questions in exercise-oncology research and one that will likely require many years to answer. What we’ve found, both in astronauts and cancer patients, is that one size of exercise does not fit all. However, based on current evidence in oncology settings, as a first step, patients may need to check with a doctor before beginning an exercise program. Once cleared for activity, the exercise guidelines for cancer patients/survivors are to: (1) avoid inactivity, (2) if relatively new to exercise perform either i) 150 minutes of moderate-intensity aerobic physical activity, or ii) 75 minutes of vigorous-intensity aerobic physical activity each week, (3) if a regular exerciser, try increasing the moderate-intensity physical activity to 300 minutes or your vigorous-intensity physical activity to 150 minutes each week. 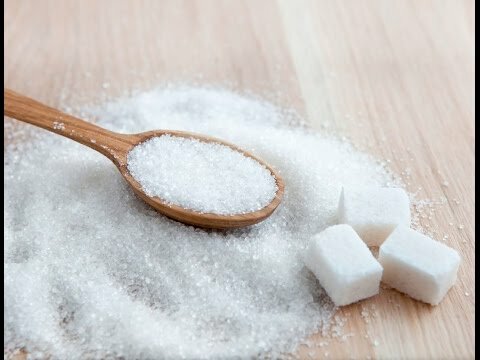 These recommendations can be achieved by adding a few minutes of activity to a daily routine such as: taking the stairs, adding an extra 15 minute walk before/after work or even at lunch, or walking a little faster or changing a walking route from a flatter route to one with a few small hills. There are also cancer-experienced exercise specialists (e.g., clinical exercise physiologist, kinesiologist, physiotherapist) and programs that can help to initiate a new exercise program following a cancer diagnosis. Small steps can make a big difference for cardiovascular health! Being active or exercising before surgery, during therapy, and after therapy has many health benefits, and based on current guidelines there is no reason a person going through treatment should shy away from exercise. But patients don’t need to start training for a marathon in order to benefit from the protective effects of exercise. Hello I work for a hospital, Can we post this article on our website and attribute you? yes, you can. Thank you.